Indie bands are doing some really cool things with record releases these days. The Old 97’s for example just released their 10th studio album in April and sent out 500 copies of the vinyl record to independent record stores across the county a week before the official release date. 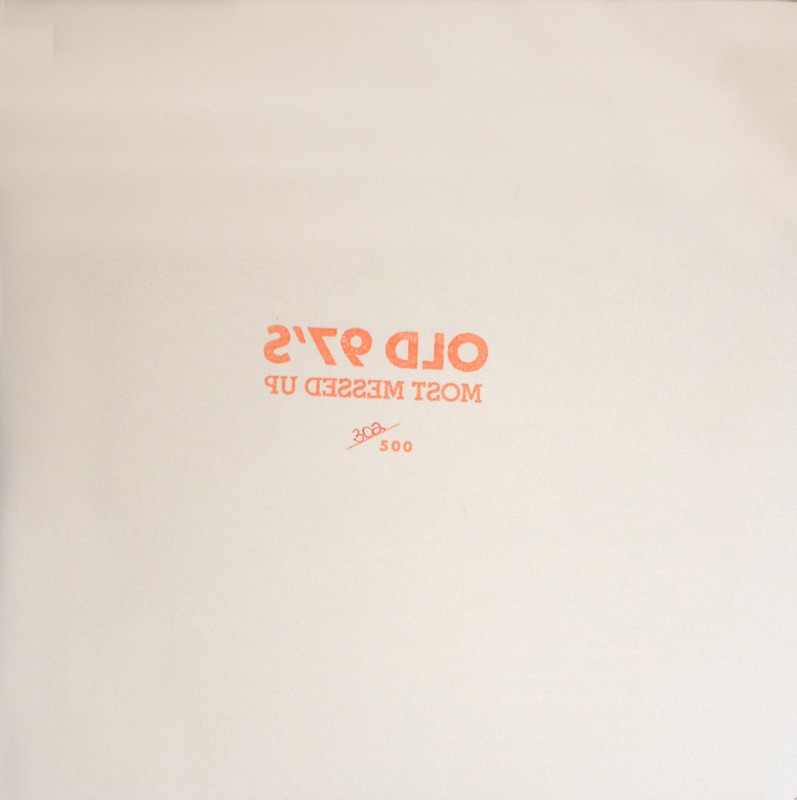 They did it bootleg style, with a plain white LP jacket with just a stamp of the band and record name on the front (Backwards of course: the record is named “Most Messed Up”.) It is also hand numbered to 500 and pressed on translucent orange vinyl while the regular vinyl release was only pressed on black. Nowhere on the jacket, inner sleeve or even record label itself are the band, album name or song titles listed except the plain stamp on the cover. I was lucky enough to stumble across number 302/500 at Homer’s record store while in Omaha for a concert and being a long-time 97’s fan it was an easy decision to pick it up. While these Texas alt-country rockers are far from the first ones to do this, it was still thrilling to get my hands on a copy of such a limited product. This entry was posted in The Vinyl Court and tagged 500, bootleg, Limited, Most Messed Up, Old 97's, OOP, rare, Rhett Miller, The Old 97's, translucent orange, vinyl. Bookmark the permalink.